You can subscribe and receive regular updates in your email! Disclaimer: Mama Buzz and reviewers received a complimentary copy of this book for review purposes. I've always been interested in health food and in the last few years I've been very interested in the "raw food" concept. After I had my first daughter, I was hoping that raw food could help me lose the extra pregnancy weight I had left over. I think it did help. I love the concept of this book. 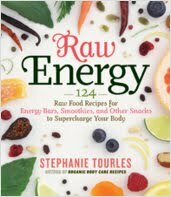 Rather than trying to convince you to eat only raw food all day, the author introduces the idea of just making your snacks raw. This way of approaching it keeps the beginner from getting overwhelmed, as I often was with other raw food books I read. The author begins the book by explaining a little bit about the whole raw food concept, the reasons behind eating mainly raw foods and how to begin your journey towards learning to "uncook." She explains some common raw foods that are used and their nutritional values, equipment that is helpful and some techniques. I LOVE the sound of most of the recipes. Raw food is all about having energy (rather than being weighed down with digesting heavy foods) and I like that the recipes aren't too heavy. Many of them don't require a lot of advanced planning either. Another wonderful thing is that the recipes that are a little more time intensive can be frozen for some time. That will make it much easier for me to stick with it! I've been inspired to try the raw foods way of life again (little by little this time!) and my kitchen is now full of produce I can't wait to use in the recipes! Overall, this is a wonderful little book for the Raw Foods beginner who just wants to get an idea of what raw foods is all about. The recipes in this book won't overwhelm you, but will give you a taste (lol) of how to start moving in a more healthful direction! 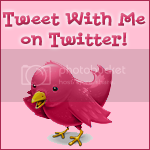 You can get free samples at Shop for Freebies, updated regularly! 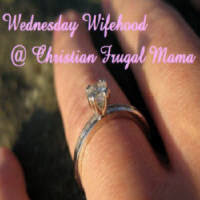 I am a 24 year old Christian stay at home mom who's kinda new to this blogging stuff. I think I like it.